Strawberry Swing and other things: Bullseye! Has anyone seen the ads for the new Pillowfort collection at Target? 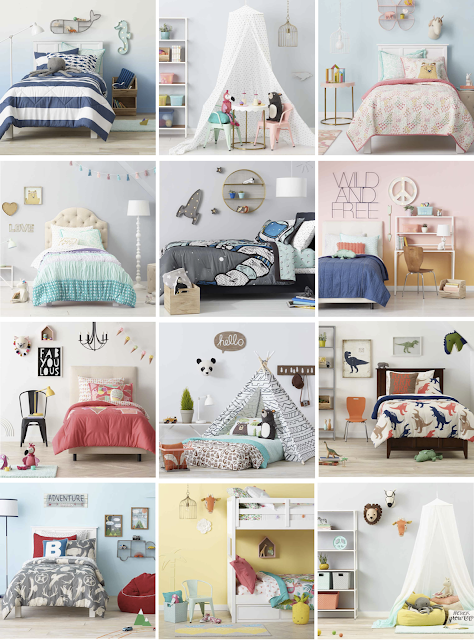 It's being released on February 21st, and it has Land Of Nod with affordable prices (and free shipping costs!) written all over it. I think red store really hit the bullseye with this collection (har har). Mini cafe chairs, teepees and canopies, and plush animal head busts. They definitely are heading in the right direction! This weekend Target is having up to 25% off home items, and you can get an extra 10% at checkout with code HOME, which includes the current Nate Berkus collection, too!